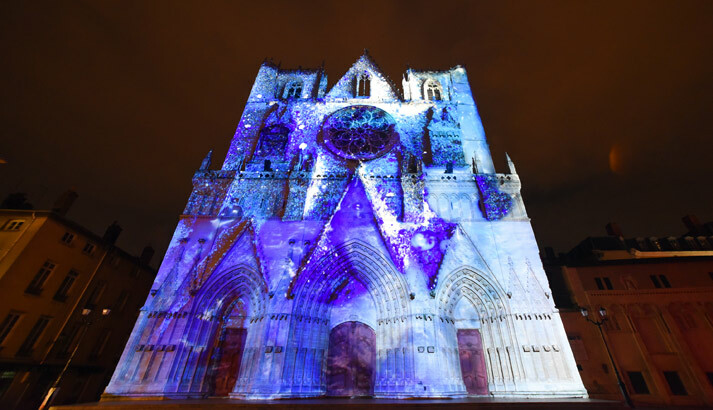 Ocubo's Pigments de Lumière creates abstract paintings by diffusing pigments, inks and flowers in water, all of which produce unexpected visual effects when precipitated. 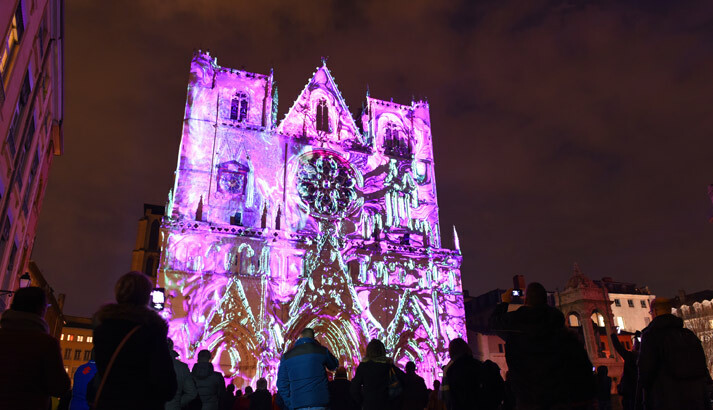 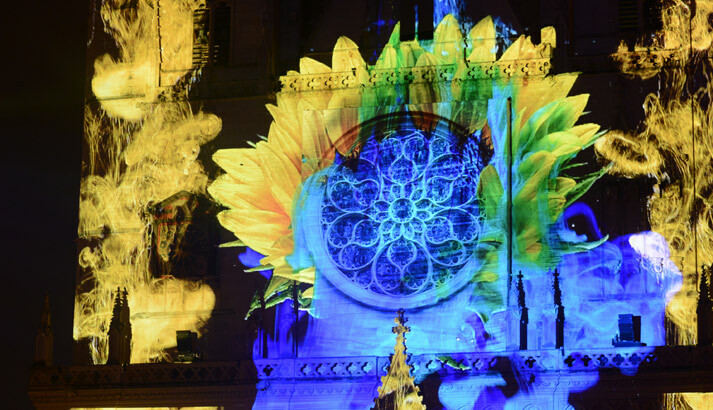 The images are projected onto the facade of Saint-Jean Cathedral: the mix of kaleidoscopic effects and psychedelic flowers in slow motion is a spectacular, unique sight that is given an extra dimension by a laser show. 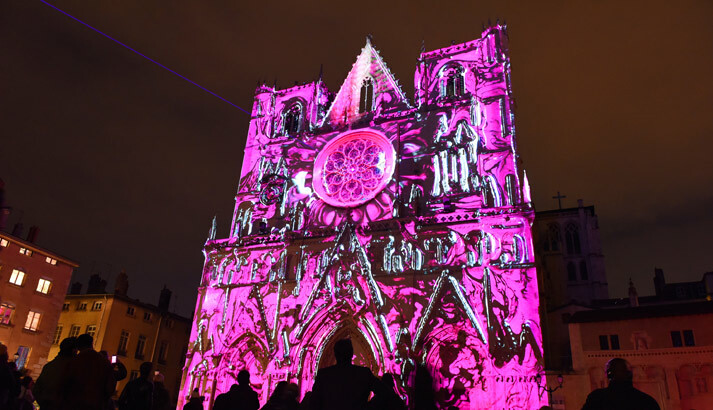 Pigments de Lumière is a thoughtful work that dramatizes textures, shapes and colours as it pays tribute to Lyon's historical connection with the world of roses. 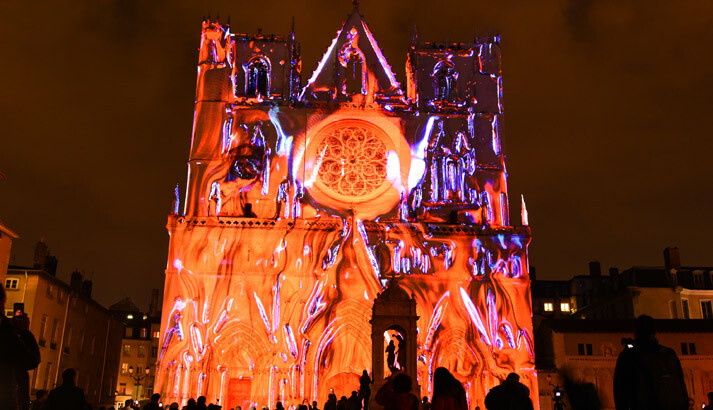 All in all, it is a sensitive, immersive project that combines hand-crafted performance with high-tech prowess, playing with real images that are also oversized and timeless. 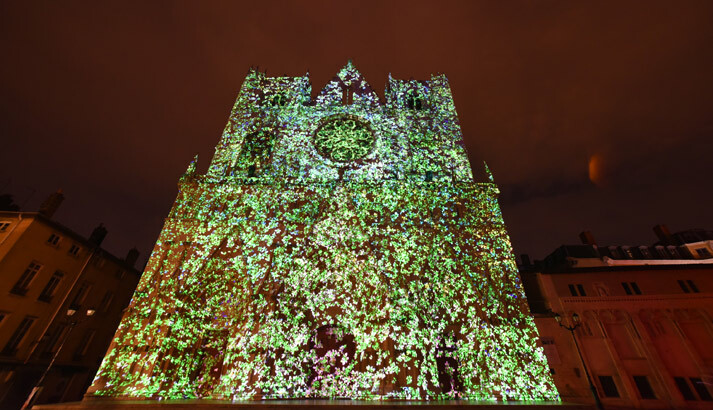 Watch out for flower power!